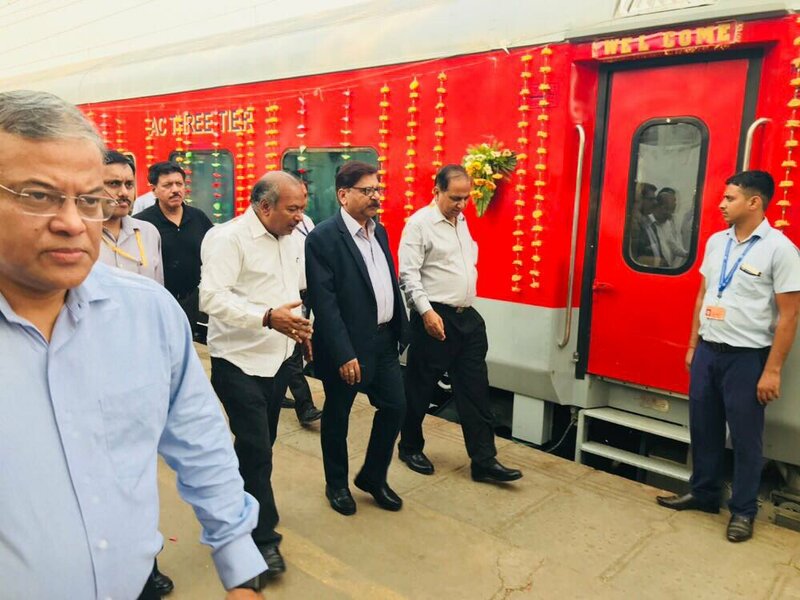 New Delhi: Railways on Monday gave Diwali gift to passengers travelling between Delhi and Mumbai route by launching a new tri-weekly faster Delhi-Mumbai Special Rajdhani Express service from Hazrat Nizamuddin station. The Special Rajdhani Express, was flagged off at 4.15 pm. 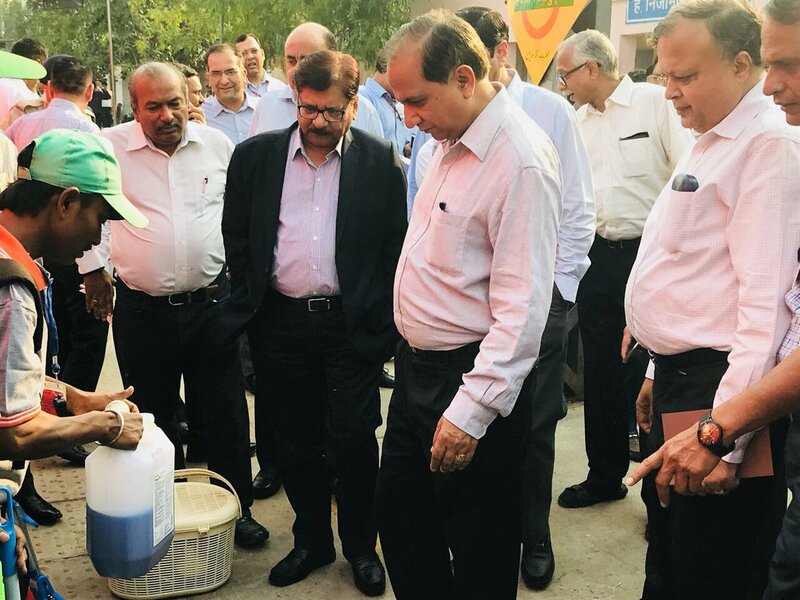 Before flagging off the Special Rajdhani Express, Railway Board Member (Traffic) Mohammad Jamshed inspected the food & catering facilities on board the train. He also interacted with passengers to take their feedback. “The new service is planned to be commenced as a tri-weekly special service with only one rake and shall provide faster rail connectivity between Delhi and Mumbai and great convenience to passengers,” it added. Special Rajdhani Express train comprises of one first AC, two 2AC and twelve 3ACs and one pantry car. It would be hauled by 2 locomotives (2 WAP5 locomotives (5,400 HP each) for better acceleration, deceleration & higher speed. This train would run at a maximum speed of 130 kmph. This special Rajdhani express is different from the current Mumbai Rajdhani as it will save around 2 hours in journey time – which would be from the existing time of around 15 hours. The on board catering on this train is being organized by railway PSU namely Indian Railways Catering and Tourism Corporation (IRCTC). The catering services will be optional as per the existing menu and tariff of Rajdhani trains. The passengers shall have the choice to opt out of the catering services. There will be provision for evening tea and dinner. There will not be Flexi fare component in the fare structure of this train. The fares in or the new service would be 20% more than the base fares for existing Mumbai Rajdhani without any flexi fare. The fare for Special Rajdhani in 3rd AC will be around Rs 500-600 cheaper (i.e.19% cheaper) than maximum flexi fare of 3rd AC in Mumbai Rajdhani. The fare for special Rajdhani in 2nd AC will be around Rs 700-800 cheaper (19% cheaper) than maximum flexi fare of 2nd AC in Mumbai Rajdhani.